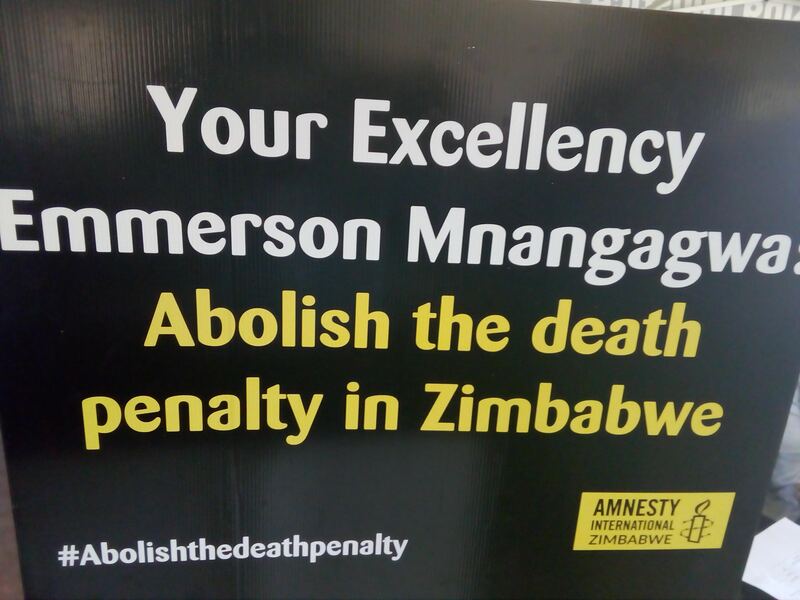 Human Rights advocacy civic society organization, Amnesty International Zimbabwe, Wednesday pleaded with President Emmerson Mnangagwa and the Parliament of Zimbabwe to abolish death penalty insisting that it violates the constitutional provision which guarantee the right to life describing the capital punishment as cruel and inhuman. Speaking at the ‘International Day against the Death Penalty’ commemorations in Harare’s high density suburb, Mufakose, Amnesty campaign coordinator Roselina Muzerengi said Zimbabwe must march towards joining the progressive trend in Africa where most countries are putting a lid on human executions. “The death penalty is a violation of the right to life as proclaimed by the universal declaration of human rights. It is the ultimate, cruel and inhuman degrading punishment. Governments must put to an end the death penalty and take steps towards abolition,” said Muzerengi. Speaking at the same event, MDC legislator for the constituency Susan Matsunga described the death penalty as non-human pledging that a motion will be pushed in Parliament to compel legislators to deliberate on the death penalty saying circumstances which lead for some people to death convictions were not fair. “We are going to move a motion in Parliament to try to fight for the abolishment of the death penalty because it violates the same constitution which guarantees the right to life,” she said. Zimbabwe’s constitution upholds death penalty, but since its inception, the office of the hangman has remained vacant with no applications tendered yet. Amnesty further pleaded with all political parties to front abolition of death penalty in national legislation for all crimes taking the cognisant of the Second Optional Protocol to the International Covenant on Civil and Political Rights.